On Wednesday, June 24, work will commence on the East Boulevard resurfacing project. The project includes asphalt milling, pavement base repair, asphalt resurfacing, installation of ADA compliant ramps, sidewalk, curb, driveway repair, catch basin repair, and new pavement markings on approximately 2.60 miles between Euclid Avenue and St Clair Avenue. One-way, southbound traffic will be maintained during construction while portions of East Boulevard will be partially closed to through traffic. Northbound East Boulevard traffic will be prohibited except for the area between East 105th Street and Wade Park, where two-way traffic will be maintained. Driveway access will be maintained at all times. Motorists are advised to be alert of lane shifts and barrels used to direct traffic. This project is scheduled for completion by October 2015. On Wednesday, June 24, work will commence on the West Boulevard resurfacing project. The project includes asphalt milling, pavement base repair, asphalt resurfacing, installation of ADA compliant ramps and new pavement markings for shared use lanes or bike lanes, on approximately 2.10 miles of West Boulevard between West 105th Street and Madison Avenue. 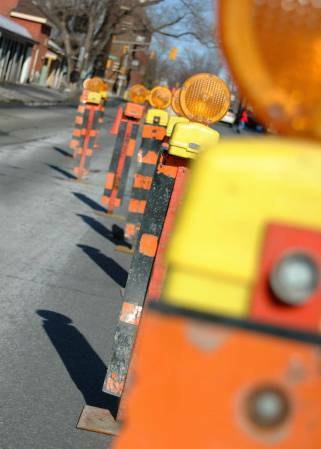 One northbound lane of traffic will be maintained between West 105th Street and Lorain Avenue. Driveway access will be maintained at all times. Motorists are advised to alert of lane shifts and barrels used to direct traffic. This project is scheduled for completion by November 2015.